Honda Civic SI – the Type R’s less-liked brother. Think of the SI as the first child. It may not be as cute or funny as the new kid, but secretly, the SI hides a few tricks up its sleeves. It may not have the red badge or the crazy spoiler, but like Abel should’ve kept an eye out for Cain, the Type R needs to watch its back. 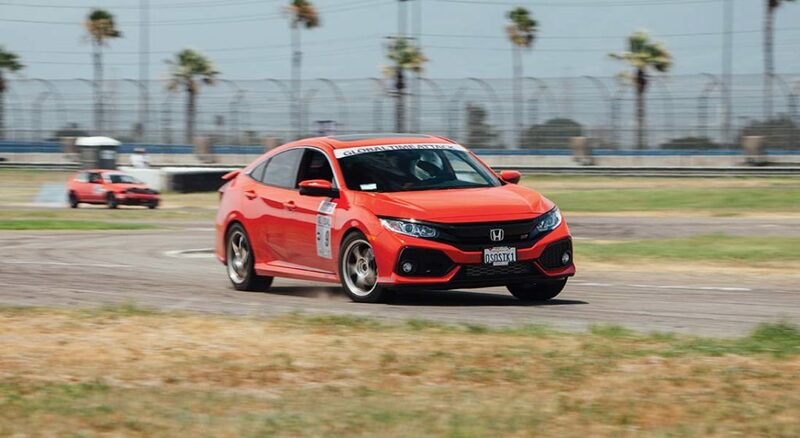 For 10 generations straight, the Honda Civic SI has been one of the go-to budget compact sports cars in America. If you think the Type R can finally grace the United States with its presence and kill-off the SI, you may want to give this another thought. Within the many trim-levels of the Honda Civic, the SI stood as the alpha dog in America since 1985. The SI stands for Sport Injected. Since its launch, this car has been successful in numerous types of motorsports, which placed it as a fan-favorite around the world. In 1985, the SI debuted in the form of the Civic CRX SI. The coupe came equipped with a 1.5-liter SOHC inline-four engine with a 12-valve cross-flow head. The CRX continues to be an iconic image found on many dragstrips, race courses, and car shows. Throughout the years, the Civic SI kept evolving and shaping into a rounder, more-aerodynamic vehicle. Technology consistently made the SI better each year, like the VTEC engine (Variable Valve Timing and Lift Electronic Control) and the Vehicle Stability Assist. By the time the 10th generation hit the production line in 2017, the Honda Civic SI was powered by a 1.5-liter turbocharged engine with a 6-speed manual transmission. Then, the Type R came. The Honda Civic Type R dates back to 1992. The popular red badge originally made its first appearance on the Honda NSX Type R. The very same badge also showed itself on the Acura Integra Type R and the Civic Type R. Unfortunately for Americans, we were robbed from the badge and what it brings to the table. After 25 years, we finally have the chance to enjoy our very own, all-new version of the Civic Type R. This time, the United States’ first Type R comes equipped with a 2.0-liter DOHC 16-valve inline-four turbocharged engine that delivers 306 horsepower and 295 lb-ft of torque. It’s no secret the new Civic Type R is a capable platform, but it comes with one, big issue: a hefty price tag. To be fair, the $34,700 price tag is a steal for a car with this type of technology, but due to limited production, dealerships have been getting greedy and adding a mind-blowing mark-up on top of the MSRP. In its defense, however, the Type R will keep its value far more than the SI ever could. Amongst the thousands of Honda fans struggling to justify spending over $40,000 on the front-wheel drive hatch, Nicolas Zambrano decided to go a different route. By the time you get your hands on a Type R and decide to force some more power out of its 2.0-liter engine, you will find yourself spending well over $50,000. Of course, you will end up with a tremendously rewarding car, but not everyone has the luxury to spend their lifetime’s savings on a car with a cool spoiler. Nicolas decided to do the industry a favor and show the hidden potentials of the $24,000 SI, proving that despite the lack of the special badge, true power can be realized for well under what you would spend on the Civic Type R. “I wanted to utilize established aftermarket manufacturers to bring support to the legendary SI market, and show the world the endless possibilities of modifying a car that many doubted because of the engine size,” Nicolas Zambrano said. 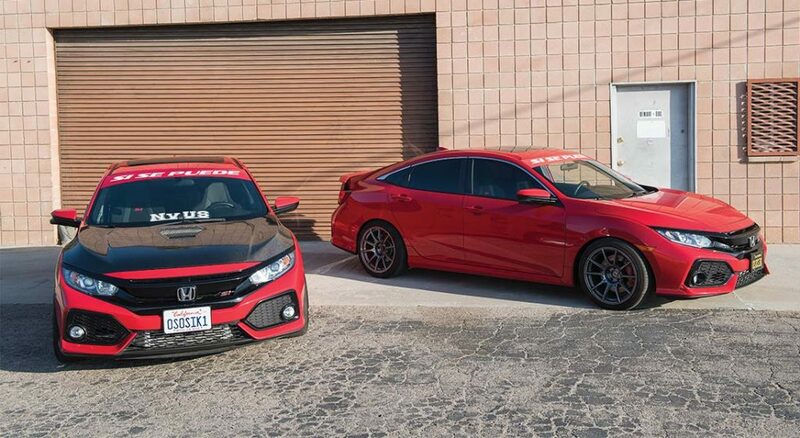 In order to truly prove his point, Nicolas took a trip on June of 2017 to a Honda dealership in Whitter, CA, and bought himself, not one 2017 Honda Civic Si, but two. “At the time, it was still cheaper than buying one Civic Type R due to the crazy mark-ups,” he said. The plan was to build one for the street and one for the dragstrip. Each car needed to cost less than the Type R when it’s complete, all while delivering more power. The stock intercooler could be prone to heat soak during harsh driving conditions. 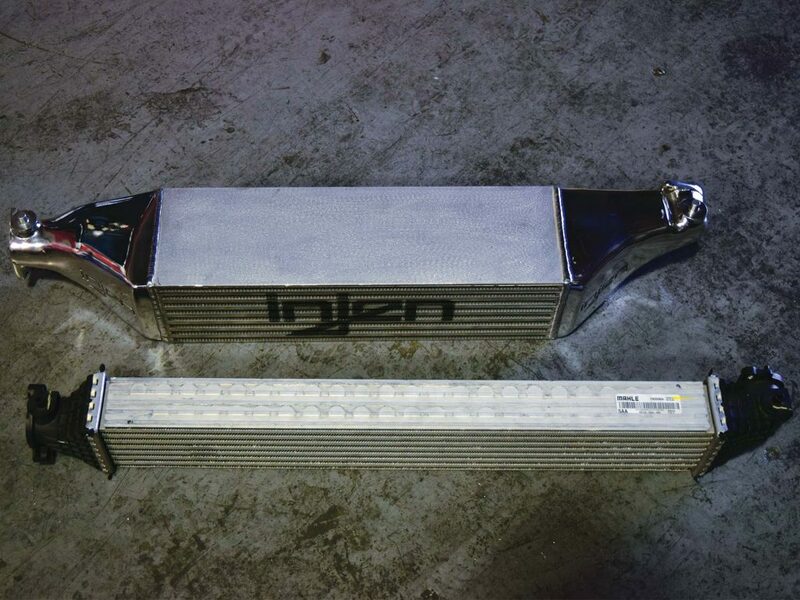 The Injen intercooler has a 25% increase in core volume, allowing it to be more efficient. Flashy exterior isn’t what this car is about, efficiency and power were always the goal. A capable street car that maintains the factory comfort was key for Nicolas. 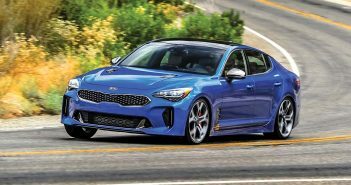 Serving as his daily-driver, he wanted a modest 13-second street car that he can take on road-trips and occasionally enjoy some pulls on the quarter-mile. “I wanted to achieve a cost-effective build that the average consumer could build without breaking the bank,” Nicolas explained. 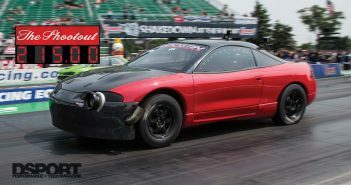 With just a few basic bolt-ons and a quality tuning by Daniel Butler, he was able to hit 12.9-seconds at 104 mph. While the fun-factor was present with this car, Nicolas started desiring more power. He finally introduced a 27WON Performance turbocharger and an Injen Technology intercooler. 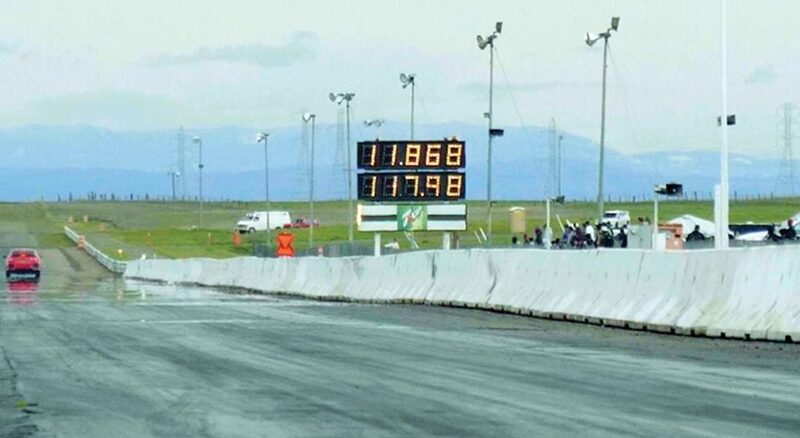 Nicolas’ street Civic SI delivers 370 horsepower and 407 lb-ft of torque, 64 horsepower and 112 lb-ft of torque more than a stock Civic Type R. With the new configuration, Nicolas was able to run 11.868 at 117.98 mph, a number he never thought was achievable with this budget setup. With just an ECU reflash, a larger turbocharger, and some supporting modifications, power and torque were significantly increased. “While everyone is looking at my right hand, they forgot I’m left handed.” This was Nicolas’ evil plan for his secret build. 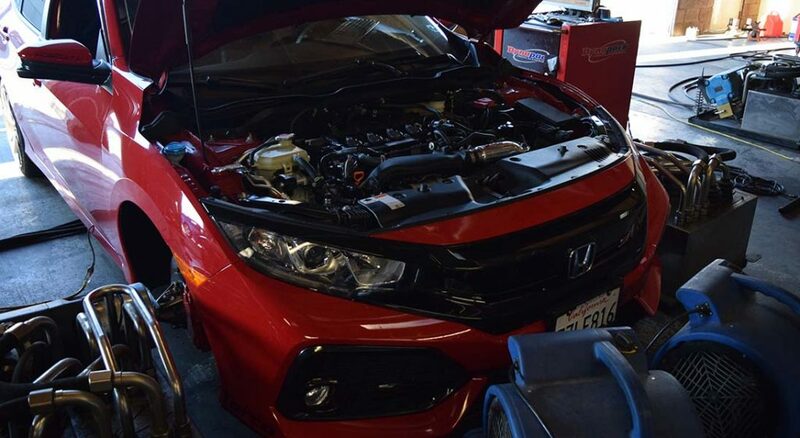 His second Civic SI may not look familiar, simply because it has been his little secret until you’re reading this. For this project, the mission is to run in the 10s with a Hondata FlashPro ECU reflash, simple bolt-on modifications, and only the most necessary internal engine upgrades without turning to block machining. Keeping the factory L15B7 engine displacement, the pistons and connecting rods were replaced. Instead of the 27WON turbocharger in his first Civic, this engine received a custom Garrett turbocharger. 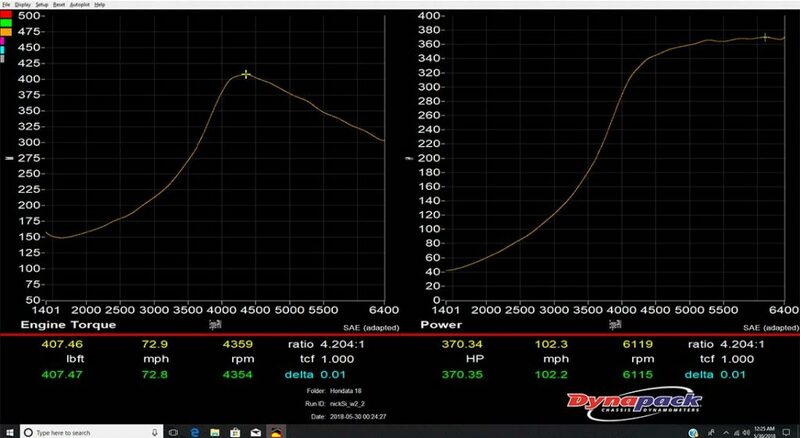 Although the drag Civic hasn’t been on the dyno yet, Nicolas and his team anticipate approximately 450 horsepower and 450 lb-ft of torque at the least. One of Nicolas’ most important modification for both of these Civics was a reflash from Hondata. This truly allowed him to optimize the modifications so they deliver the most power and torque they are capable of achieving. The FlashPro is tunable by anyone, making it an ideal choice in the pursuit for more power. It allows you to tune the correct cam angle, fuel, and ignition your car needs to achieve more performance with the right supporting modifications. The FlashPro is locked on the vehicle; however, if you return the ECU back to stock, it can be used on another car. 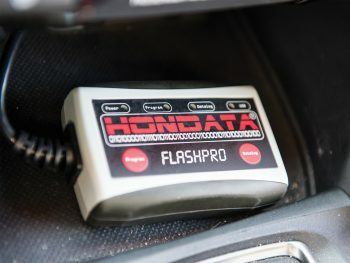 Nicolas didn’t need this feature, however, because each one of his Civics received its own FlashPro reflash from Hondata. “A simple base-map tune from the FlashPro makes a night and day difference in this car,” Nicolas said. With plans of running in the 13s or 12s for the street Civic already achieved, Nicolas is focusing more of his attention onto the drag Civic. The goal is to run in the 10s, but seeing how the first Civic exceeded all of his expectations, we are curious to see what the second Civic does on the quarter-mile. As for the future, the first Civic SI will remain an 11-second street car, while the drag Civic will eventually receive a 2.0-liter engine swap. 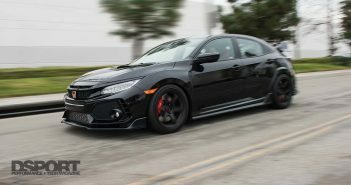 If done right and without costing too much, Nicolas will prove that the Civic SI can stop the Type R’s hype train once and for all.